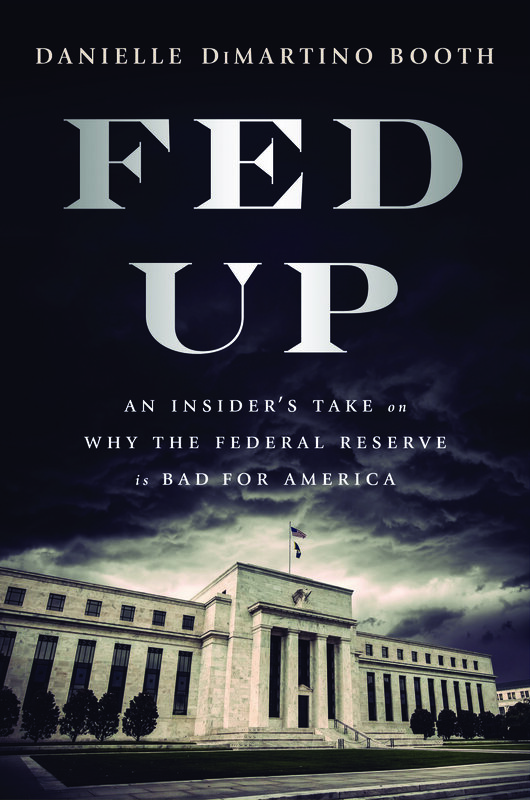 They returned to their lofty perches, some at the Eccles Building, others to the executive floors of Federal Reserve District Bank buildings, safely cushioned from the decision they had just made. Most of them were wealthy or had hefty defined benefit pensions. Their investments were socked away in blind trusts. They would feel no pain in their ivory towers. To what end? All around are signs of an economy frozen in motion thanks to the Fed’s bizarre manipulations of monetary policy, all intended to keep the economy afloat. The direct damage inflicted on our citizenry begins with our youngest minds and scales up to every living generation in our country’s midst. And then there are the millennials, the 77 million young people born between 1980 and 1995. As private equity surged into real estate, purchasing homes to be used as rentals in search of higher yields, house prices have soared and the market share of first-time home buyers has dropped to its lowest level in almost thirty years. Nearly half of males and 36 percent of females age eighteen to thirty-four live with their parents, the highest level since the 1940s. Delaying household formation and all the consumer spending that goes with that? Not on the FOMC’s radar. 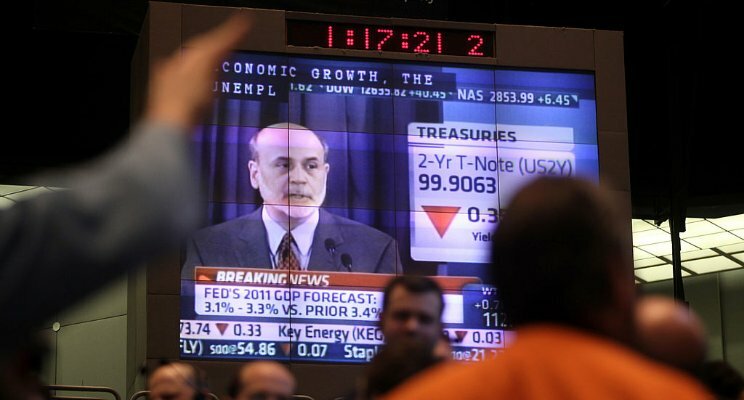 His pragmatic response to every crisis on Wall Street? Lower interest rates, which Greenspan did again and again and again. Blow bubbles and pray they don’t pop. In the late 1990s, dot-com companies soared far beyond true valuations; reality pricked that balloon in 2001. In response, Greenspan again aggressively lowered interest rates and blew another bubble, this time in housing, with catastrophic results that led to the worldwide meltdown in 2008. Janet Yellen, who followed Bernanke as Fed chair, maintained his radical policies with gusto, determined that households and businesses would invest, buy, consume, damn it! Though many on the FOMC sought an exit plan, Yellen was even more married to the Keynesian model of economic growth than Bernanke. 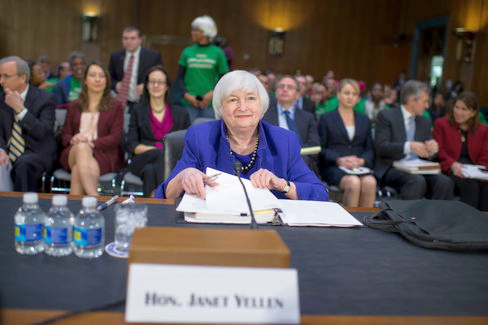 She continued to advocate for more QE, and has even raised the specter of negative interest rates. But real people haven’t responded the way academics anticipated in their wealth-effect models. Individuals, small businesses, and corporations alike have been flummoxed by Fed policy and made their own rational choices unforeseen by the FOMC. This strategy has been employed by companies as diverse as Apple, Bank of America, and ExxonMobil, which lost its prized AAA credit rating after one hundred years, based partially on the record amount of debt it incurred to buy back shares. Since 2005, U.S. corporations have disbursed an estimated $296,000 on share buybacks for every single new employee who has been hired. Proof: a third of all cars traded in during 2015 had loans that were “underwater.” The owners had taken on debt for more than the value of the vehicles. Although the market for subprime car loans is nowhere near the size of the subprime mortgage market, it hurts the same people who can ill afford such hardships. Of course there are those who love zero interest rates. The ostentatiousness with which the so-called one percent has flaunted its wealth has fueled the rise of anger and extremism, leading to the presidential campaigns of Bernie Sanders on the left and Donald Trump on the right. And politicians wonder about the genesis of a deeply divided and dispirited populace. Copyright © Danielle DiMartino Booth, 2017. All rights reserved.